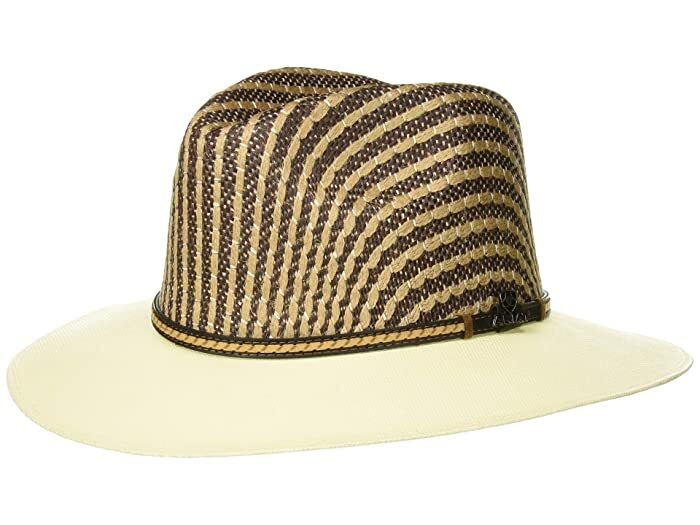 The cool and casual Ariat® Two-Tone Crown Fedora is perfect for both casual and dressier looks. Two-tone straw hat with pinched crown. Fancy hatband with signature Ariat metal pin accent.